You get a call late at night, the payroll process at work did not complete. IT tells you something must have gone wrong with the payroll server. After an hour of troubleshooting, the IT Manager notifies you the issue is far more complex than he thought, and he has to call the manufacturer for support. When he reaches tech support they regretfully decline to assist on this matter because the hardware maintenance on the server expired 3 months ago. Thoughts immediately start running through your head, “How much is this incident going to cost?”, “How can we resolve this issue without a current maintenance agreement?”. Things are not looking good. Without a current maintenance contract, getting support for your systems can prove to be a nightmare. By tracking expiration dates, you can ensure your organization is never left unsupported during an incident like the one above. It is safe to say, anyone would want to avoid this type of nightmare situation, but scenarios like this happen all the time. Letting maintenance expire on your infrastructure could prove to be a costly mistake. Without maintenance, you could be subject to increased support costs when you call into the manufacturer for issues. Break-fix services from the manufacturer can cost up to 3 times more than services with a current maintenance contract. If this isn’t reason enough, in some cases, support might no longer be possible without maintenance, meaning you will need to repurchase maintenance if available, at a much higher price. In some instances, you may not be able to purchase maintenance without performing a system upgrade, which may prove difficult if your system isn’t working. Effectively managing your hardware maintenance and software renewal contracts with a technology partner can help you reduce this risk. How much does downtime cost? The total cost is dependent on many variables, use our free downtime calculator to determine the true cost of downtime for your organization. Not having hardware maintenance and software renewal contracts in place lengthens the time to remediation in an emergency situation, therefore elevating the cost of downtime. 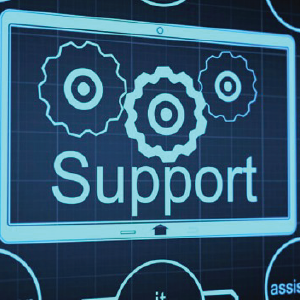 Most manufacturers will not provide support for systems without a current maintenance contract. Those manufacturers that do provide support without a current contract do so at an inflated price and with decreased urgency, not to mention parts may take longer to arrive on-site. These factors can greatly increase your length of downtime, costing your organization even more in unplanned expenses. In addition to remediation costs, your organization may experience loss of sales or lose credibility with your customers all resulting in short and long-term effects on revenue. When your technology that feeds the business grinds to a halt, so do your employees. Systems without maintenance can take significantly longer to repair when they break, leaving your employees with nothing to do but twiddle their thumbs. The opportunity cost of keeping your employees at 100% productivity can easily outweigh the cost of maintaining current hardware maintenance costs. Similar to the downtime discussion, the longer your employees are without their resources, the bigger hit your bottom line takes. If given the opportunity, would you eliminate all of the above from happening? Now imagine, your organization had enrolled in ACS’ complimentary Managed Maintenance and Renewal Service. You walk into work Monday morning. IT notifies you the server that runs the payroll process had a glitch last night. However, after an initial troubleshooting session and a call to the manufacturer for support, the issue was resolved and the payroll process completed in time to pay the staff, all because the maintenance contract had been renewed on time, thanks to an alert from your technology partner ACS. ACS’ complimentary Managed Maintenance and Renewal Services, tracks all of your hardware maintenance and software renewals, alerting you 90 days’ prior to any expiring contracts. With this service, ACS provides a way for your organization to avoid unplanned expenses and ensure it has the support needed to remediate system issues in a timely manner. Don’t get caught without support when you need it most. Contact ACS today to learn more about our complimentary Managed Maintenance and Renewal Services.